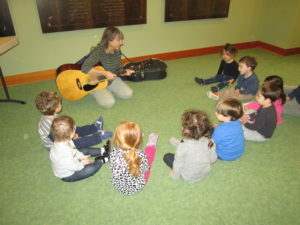 Delores, of Toddler Songtime, has been helping children enjoy music in Westchester for decades. 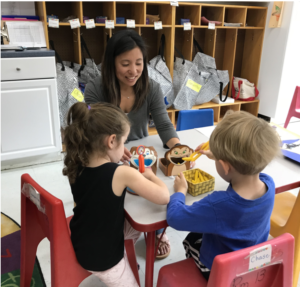 She brings her guitar, keyboard, puppets, percussion instruments, and a huge range of stories, songs and rhythm exercises to delight and teach the children all year long. We sing songs and laugh at her puppets’ antics the whole year through. Shmulik Gov-Ari is a trained dancer and choreographer. 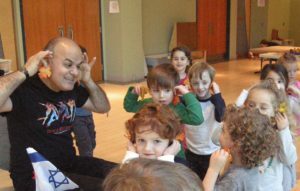 His warm and enthusiastic directions combined with his energetic Jewish folk music naturally encourage the children to follow his dance steps. Shmulik has choreographed more than 300 dances which tell the story of Israel as well as stories of Jewish life. The the 3′,s 4’s and 5’s also love to beat their own set of bongo drums, matching rhythms with Shmulik. Susan Kohn Arovas was one of the parent founders of our Community Gardens. She is now an ECP staff specialist as our head garden educator. Our 2’s, and 3’s learn to garden planting peas, and pumpkins in the late Spring along with flowers and corn. 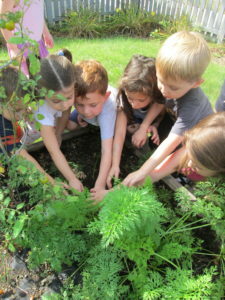 Our 4’s and 5’s tend their garden all year long learning about the life cycle of a plant., the difference between perennials (bulbs) and annuals, composting, and how to care for and harvest a variety of vegetables. Susan connects Jewish values to the land they’re working in by, for example, collecting flowers for Shabbat, and caring for the earth on Tu B’Shevat. 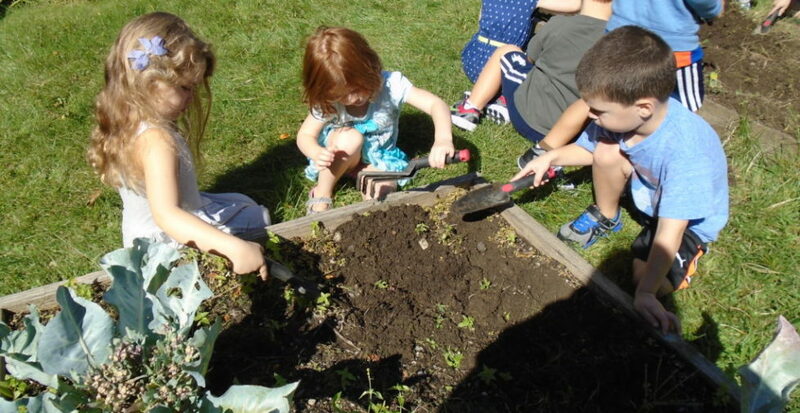 Susan’s expertise comes from her years of gardening with her own children, as well as her attendance at the conference Jewish Early Childhood Education and the Outdoor Classroom: Connecting Children with Creation. 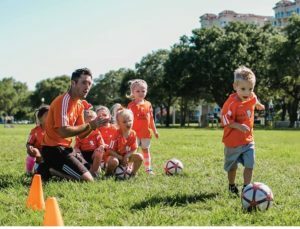 Soccer Shots is a national program that teaches the beautiful game of soccer and focuses on character development by incorporating a word of the day into each session and discussing it meaning and relevance on the soccer field. Through creativity, positivity and fun we encourage new challenges and increased confidence with ball control and basic soccer moves. Soccer Shots will be working with us monthly in a pilot program for the 2’s, 3′,s 4’s and 5’s. the 3′,s 4’s and 5’s children out to explore the wonder of our beautiful grounds. Using their five senses the children will observe, collect and discover things that inspire creativity in every shape and form. 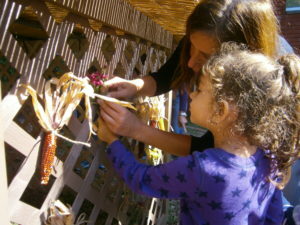 Candice loves combining nature, art and Jewish learning with children of all ages and has been doing it for many years. As one of the parent founders of our ECP Gardens, and a Green Team creator at her son’s elementary school, Candice will guide the children to create art from nature. She has learned that when children have the opportunity to experience all that the natural world has to offer they have a greater sense of Tikkun Olam (repairing the world). Topsy Turvy Yogi takes a new twist on Yoga by combining imaginative play and play based early childhood teaching philosophy with yoga movements. Monthly Yoga classes will incorporate a balance of age appropriate yoga poses, music, storytelling, yoga games and calming Breath work. Classes are designed to help children learn to manage stress, be mindful of their environment, develop focus and concentration as well as build strength and self-confidence. Topsy Turvy Yogi will be working with us monthly in a pilot program for the 2’s, 3′,s 4’s and 5’s. 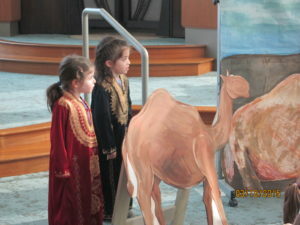 Through puppetry, costumed acting and books, Julie Rabinowitz (Torah Alive Coordinator) and Pam Pass (Assistant Religious School Principal) bring Torah stories alive to our 3’s and 4’s from the Book of Genesis beginning with Creation and concluding with our receiving the Ten Commandments. Each story is further explored with a hands-on activity in the classroom.